Most of us like to lead. To be in control, to make the decisions, to head up the charge. As Christians, we need to let go of our desire to lead, and learn to follow. There is only One Head of the church, and His Name is Jesus. He laid down His life in order to restore & love her, us. The one He adores. Not only has He physically earned the right to lead, it is His birthright as the Son. The Father has Jesus sitting at His right hand & sharing the throne of Heaven. Jesus waged the first major battle for His Bride, and came out victorious. With a battle equipped and ready leader in our corner, why do we struggle so with allowing Him to lead? We forget He made us exquisitely complicated & meticulously detailed to plan by His hand. We forget He made all things, knows all things, and rules over all. We forget He has plans for us to prosper, overcome & have a great future. We forget He is with us, every single moment, intimately a part of our lives when we are His. God came with the ability to lead hardwired into all He does, based upon His mighty strength, never failing wisdom, and His loving sacrificially servant heart. Oh some of us have leadership abilities and wonderful talents. In the Kingdom, He is to lead the way. We are to follow Him home. The road ahead will have pitfalls, gains, heartbreak, blessings, pain, joy, and road blocks. We cannot navigate on our own if we want to make it through victorious. For the part we cannot always see in full, He walks confidently aware of with the authority He was meant to wear. The battle is not only waged earth, but in the spiritual realm as well. Without the head of Heaven fighting for us, we will be damaged, wounded and defeated by the enemy. Not because God isn’t almighty & capable to defeat him, but because we refused to let God lead. When we go into the battle without our Shield & Warrior, we become an easy target for enemy snipers. In Ephesians, we are reminded that most of our weaponry is defensive, made for our protection. Following where He goes before us. The only weapons we are to actively use are prayer & Word: both as led by the Spirit, who does all things proclaiming the Lordship of the Son & honoring the plans & Name of the Father. The Father is the strategist. The Son is the Warrior. The Spirit is the Messenger. We are to live out the message that Jesus saves. We are to follow where He leads. We are to remain in Him. His part is to protect, instruct & guide us to live the lives He desires for each of us. It is hard to acknowledge you are not meant to be on the front lines 24/7. Because we always think where the visible action is is where we want to be. Without the reconnaissance of satellites, millions more of our military could walk into unnecessary ambushes & to their deaths. It’s because of the bigger picture, both the overview complete with the details, which the information gatherers collect, that they are able to know where to head for safety, or where to go to avoid the ambushes & stay on target. The planning makes the most of the data taken in, and the use of the might at hand as it aims to defeat the enemy. When we know where best to go & how to fight, the battle is more easily won. Holy Spirit is the data transmitter. We are meant to tune in, and follow as God leads. Some of the battle being fought around us is handled by His angels. Some through our prayers. The one common denominator, which leave the enemy quaking in His boots is Jesus. The One who defeated death & broke the chains forever has already tossed the enemy out of Heaven, and shown Himself the Eternal Victor. One of the only strategies the enemy has left is to deceive us that we can successfully fight without our Victor. Tell Him you want to lay down your right to lead, and invite the One who reigns to take the reins of your life. Pour out your heart and all the burdens you have before Him. Allow Him to comfort & strengthen you. Put on your custom fitting armor, and get ready for His battle cry to go to war on your behalf. Move out remaining under His protection, as He leads you to move. 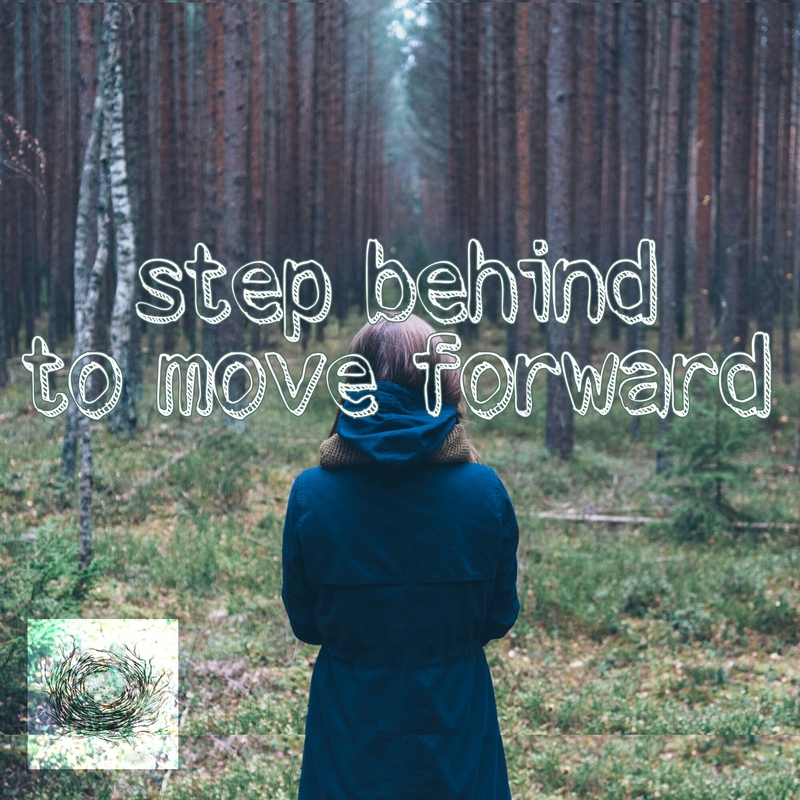 Fall into step behind Him to safely move forward. Let Him make the way safe before You. Keep vigilant, and watch Him do what He does best- fight for the one He loves. Ah yes I can relate to your opening statements. Thank you for pointing us to the Loving and Sovereign Lord. Cool image at the top of your blogs too. Thanks for linking up with the #RaRaLinkup via Purposeful Faith.